Coaching a team can be a difficult task. Bur with today’s progression of technology, there are now hockey stats tracking apps available out there that can help coaches track and analyze their team’s performance. These kinds of apps can be especially helpful for improving player’s and team’s overall performance. Most of these apps on the App Store are not free, but we found one that offers great number of useful features and its free, with some in app purchases. Once you set up your team and rosters, iTrackHockey will help you track stats and analyze your team and individual player’s performance. The app gathers all the required information - with your help by simply tapping the screen on your device during the hockey game. iTrackHockey is designed to give you valuable resources and features to assist with the long-term over-all development of your team and players. These valuable features include the ability to track and learn from players’ performance, as well as to review and analyze past game information against your team’s opponents. 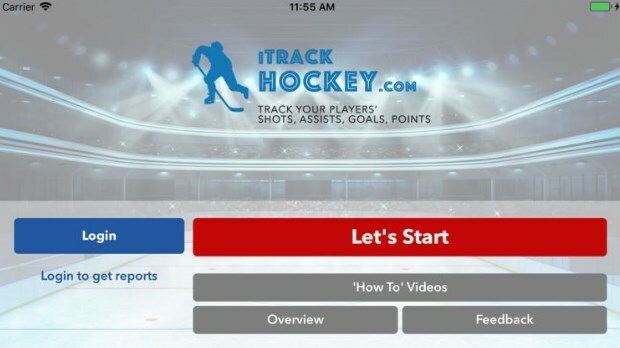 The iTrackHockey app comes packed with features that can make any coach job a lot easier. The app lets coaches track their players, locations, quantity of both shots on-net and missed ones, track goals and assist points, view replays of shot history by their team and the opponents, view team and individual player stats, automatically receive a game report and many more. The iTrackHockey app was designed and developed with the help of many coaches and hockey players so it can be the perfect and most useful tool for improving the team performance. The iTrackHockey app can be downloaded for free at the iTunes App Store. If you are a coach that needs a helping hand with tracking your team performance and the game stats be sure to check out the iTrackHockey app.